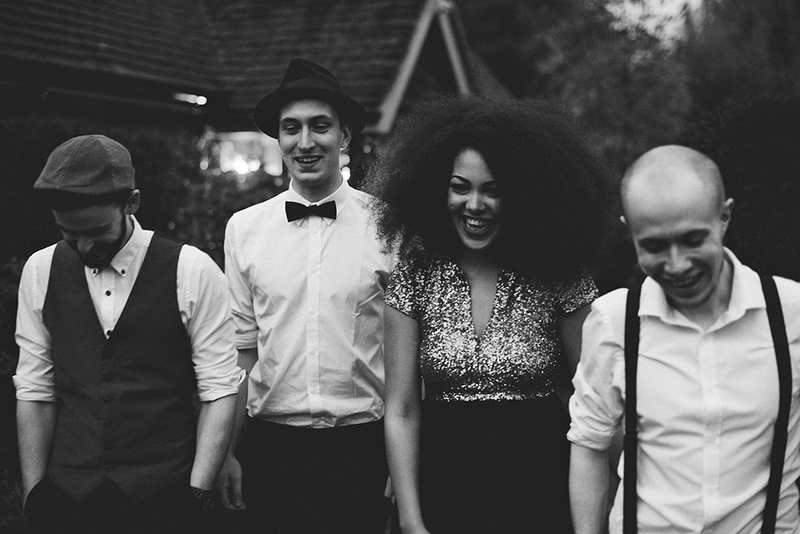 What makes Karizma a fantastic Hampshire Wedding & Function band? Karizma are a 4 piece Pop & Rock band formed of professional musicians, who bring passion and talent to every performance. We know how to get a party started and will ensure all of your guests are on the dance floor - and most importantly - stay there! 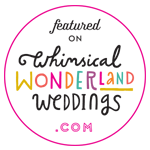 A wide range of music from the latest Pop chart hits to the classic Rock classics, as well as Soul, Motown and Funk! A dedicated contact person to talk to, throughout the booking process and right up to the day of your event! Professional yet friendly service and attention to detail - ensuring your event will be remembered for all the right reasons! Pre-mixed iPod music that can be played during the band's breaks - saving you the cost of a DJ! Your choice of First Dance performed! We hired Karizma to play 3 different sets at our wedding. They played acoustically before,during and after our ceremony. They also played acoustic during afternoon tea and then we had them play more lively stuff with percussion in the evening, therefore they were with us all day! I was in contact with Talisha via email and phone before the day and she was very patient and accommodating to our requests! Talisha's voice is just beautiful, absolutely flawless. 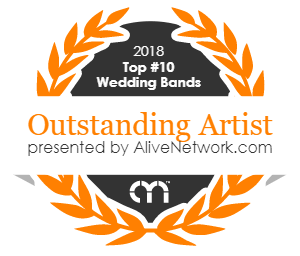 They are fantastic - they played what we wanted to hear, interacted with our friends and family and were generally a joy to have at our wedding. They are reliable, professional and talented as well as being lovely people. If you're looking for live music at your wedding or party I would highly recommend Karizma. What should I expect from a Hampshire Wedding & Function Band? Karizma bring a fresh, modern sound of dance floor fillers to every performance. 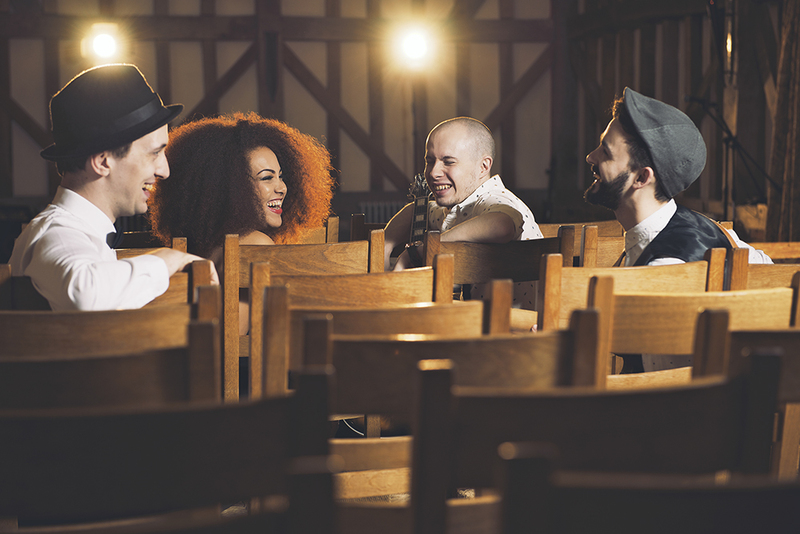 Including songs by Bruno Mars, Pharrell Williams and Justin Timberlake, the band have fast become one of the top bands available to hire in Surrey, London, Hampshire and the rest of the UK. Karizma are fully self-contained with our own PA system, microphones and lighting. All you need to provide are 2 plug sockets and leave the rest to us! It really is as simple as that! Our standard sets provide you with 2x60 Minutes of Live Music to keep your guests rocking and dancing along. If you really love your live music, why not add on 1x60 minute Acoustic Set - perfect for drinks receptions or during your meal. With every package we also add on our iPod DJ option which comes with pre-mixed background music to keep your dance floor full, before, in between and after the band have finished. As you can see your whole night of entertainment is covered, leaving you to relax, have fun and make treasured memories with your guests. How do I book this top Hampshire Wedding Band? 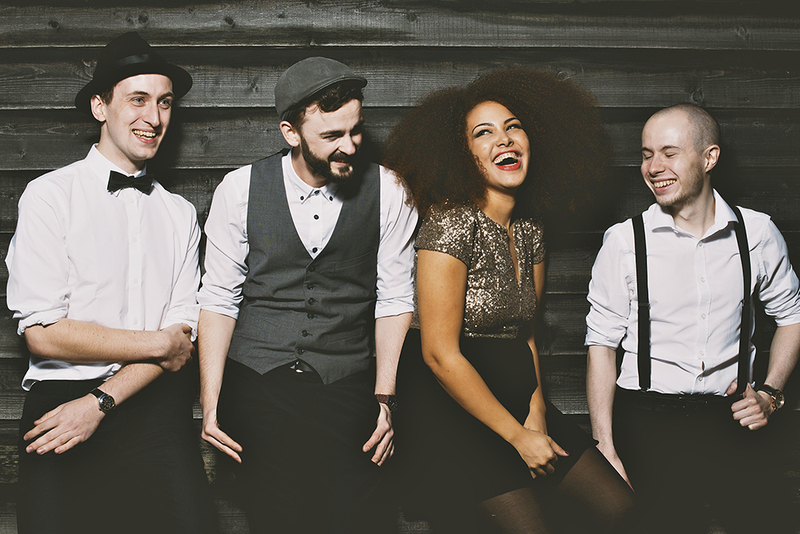 We believe that booking a great live band for your Wedding should be made easy. When you contact us, you will be put in direct contact with Talisha who will be on hand to help throughout the entire process. Simply put: you'll always be speaking to a person who knows all the information about your special day and can make arrangements without having to go via a middle-man. It really is that easy. If you're ready to book Karizma for your Wedding simply contact us with your date and venue Location, or alternatively you can give us a call on: 079 561 504 79. In order to secure your date, we simply require a small deposit (which will be held safe and secure) and a signed booking form. Karizma cover the following areas in Hampshire: Aldershot, Alresford, Alton, Ampfield, Andover, Barton Stacey, Barton-on-Sea, Basingstoke, Baughurst, Beaulieu, Bentley, Bentworth, Bishops Waltham, Bordon, Botley, Bramdean, Bramshill, Bransgore, Brockenhurst, Broughton, Bucklers Hard, Buriton, Burlesdon, Burley, Cadnam, Chalton, Chandlers Ford, Charter Alley, Chawton, Cheriton, Copythorne, Countywide, Crawley, Crondall, Damerham, Denmead, Dibden, Dogmersfield, Downton, Dummer, Dunbridge, East End, East Stratton, East Tytherley, East Wellow, Eastleigh, Easton, Emsworth ,Eversley, Faccombe, Fair Oak, Fareham, Farnborough, Fleet, Fordingbridge, Fritham, Froxfield, Gosport, Hamble, Hambledon, Hartley Wintney, Havant, Hawkley, Hayling Island, Heckfield, Highfield, Holybourne, Hook, Horndean,Horsebridge, Ibsley, Itchen Abbas, Kingsclere, Kingsley, Langstone, Leckford, Lee-on-the-Solent, Linwood, Liphook, Liss, Longparish, Lymington, Lyndhurst, Mapledurwell, Mattingley, Meonstoke, Micheldever, Milford on Sea, Minstead, New Alresford, New Milton, Newtown, North Waltham, Northington, Odiham, Old Basing, Otterbourne, Overton, Ovington, Ower, Owslebury, Owslesbury, Petersfield, Pilley, Plaitford, Portchester, Portsmouth, Preston Candover, Ringwood, Romsey, Rotherwick, Rowlands Castle, Selborne, Setley, Shawford, Shedfield, Soberton, Sopley, Southampton, Southsea, Southwick, Sparsholt, St Mary Bourne, Stockbridge, Stoney Cross, Stuckton, Sway, Tadley, Tangley, Tichborne,Tidworth, Titchfield, Totton, Twyford, Upper Chute,Upper Froyle,Upton Grey, Warsash, Waterlooville, Well, West Tytherley, Wherwell, Whitchurch, Whitsbury, Wickham, Winchester, Winchfield, Wolverton, Woodlands, Yateley. Karizma Function Band are available to book all over the UK. Wedding and Function Band Surrey, Wedding and Function Band Guildford, Wedding and Function Band Hampshire, Wedding and Function Band London, ﻿Wedding Band Sussex﻿, Wedding Band Berkshire, Wedding Band Kent, Wedding Band Brighton, Wedding Band Oxfordshire, Wedding Band Buckinghamshire, Wedding Band Bristol, Wedding Band Hertfordshire, Wedding Band Bedfordshire, Wedding Band Essex, Wedding Band Wiltshire, Wedding Band Dorset, Wedding Band Cambridgeshire, Wedding Band Gloucestershire, Wedding Band South East England.